Homebuyers may shy away from purchasing a fixer upper for fear of difficulties obtaining financing. However, financing a fixer-upper is not as difficult as some homebuyers likely assume. Discover how you can finance a fixer-upper to turn it into your dream home. Is buying a fixer-upper worth it? If you value the look and feel of an older home, you may find yourself drawn to a fixer-upper. 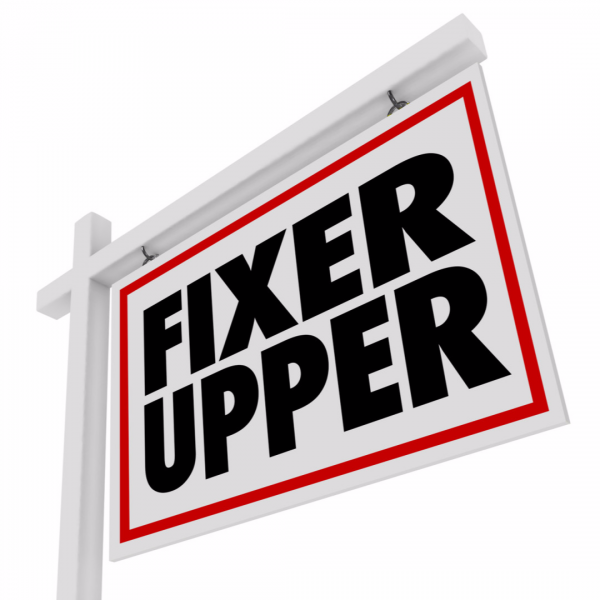 Finding a fixer-upper home in a good neighborhood is potentially a dream come true for homebuyers. Take a contractor with you when looking at the home – Contractors can see things you may not see and can give you a general idea of repair and renovation costs. Check out the neighborhood – While the home may be advertised as being “In a nice, quiet neighborhood,” that does not mean it actually is a quiet neighborhood. Check out the crime rate and drive by to see what goes on around the home. Consider all costs – While the selling price seems attractive, repair and renovations can take you over your budget. Do not get discouraged – Financing is available for the fixer-upper. So can I really get financing for a fixer-upper? You need a higher credit score than the 203(k); however, the Fannie Mae HomeStyle Renovation offers an ideal option for some people wishing to turn a fixer-upper into their dream home. You are more likely to get approved for this financing program if you let a contractor do the work and save your do-it-yourself ideas for another project, unrelated to purchasing the fixer-upper. Lenders tend to frown on approving a Fannie Mae HomeStyle Renovation for the DIY buyer. You can turn a fixer-upper into your dream home. Financing programs available to homebuyers make buying a fixer-upper easy and prevents you from having to pay all the costs up-front, out of your own pocket.